Amedeo Castiglione, 95, of Charlevoix, formerly of Central Lake, passed away on April 8, 2018 at America House in Charlevoix. Amedeo was born on November 17, 1922, in Detroit, the son of Joseph and Clara (Caniato) Castiglione. 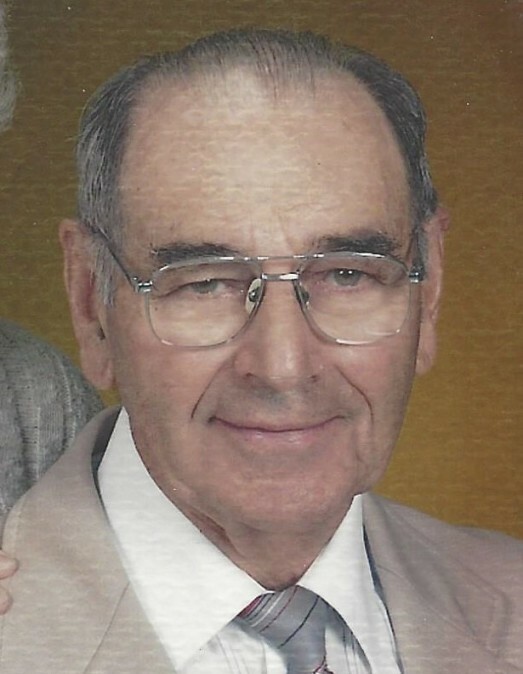 Amedeo was a member of St. Luke Catholic Church in Bellaire for many years and was active in the Central Lake Lions Club as well as the Central Lake Masonic Lodge #426. He enjoyed many outdoor activities especially hunting, fishing, golfing, gardening and traveling. On June 10, 1950, in Detroit, he married Marie Malkowski who survives. Also surviving are 3 sons, Mike (Linda) Castiglione of Charlevoix, Tom Castiglione of Boyne City, Dan (Becky) Castiglione of Fort Worth, TX, a son-in-law, Marc Vadnais of Fenton, MI, 2 sisters, Mary (Jack) Springhetti, Betty Raybould, 5 grandchildren, 3 great-grandchildren. He was preceded in death by a daughter Janet Vadnais, 3 brothers, one sister as well as his parents. Funeral mass will take place on Saturday, April 14 at 12 noon at St. Luke Catholic Church in Bellaire with Fr. Chet Collins officiating. The family will receive friends from 10 a.m. until the time of Mass. Interment will be in Southern Cemetery, Central Lake Township at a later date.